getcalc.com's Average Calculator is an online basic math functions tool to find the average of marks, speed, weight, rate of change, positive, whole, fraction, odd, even, prime, composite or natural numbers. By using this calculator, users may found the answers for the following quries. what is the average of first n numbers? what is an average of numbers between the range? what is an average of first n odd numbers? 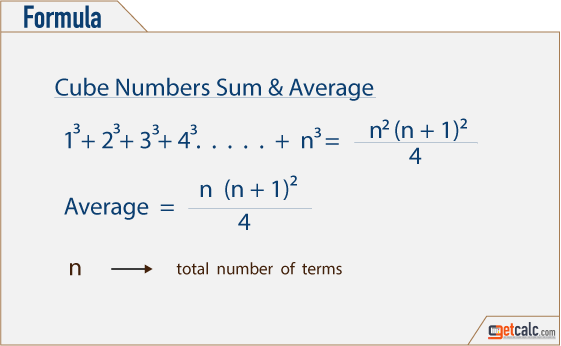 what is an average of first n even numbers? what is an average of odd numbers between x and y? what is an average of even numbers between x and y? what is an average of first n prime numbers? what is an average of n prime numbers between x and y? what is an average of first n composite numbers? what is an average of composite numbers between x and y? 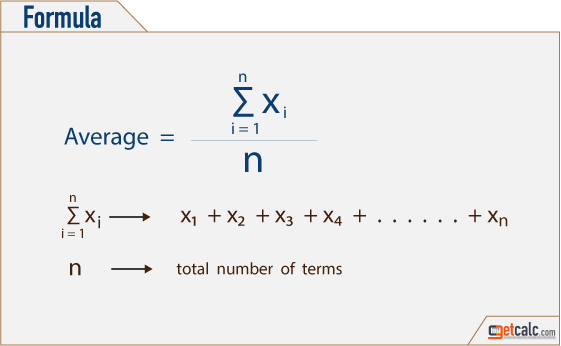 Average is one of a basic mathematical functions, generally a decimal number which represents the central or mean value of group of data obtained by dividing sum of data point values by total number of data points in a data set.